This school is THE BEST! Just ask me! The form of how the course is explained is on the website. I loved everything about it…including the lunches. 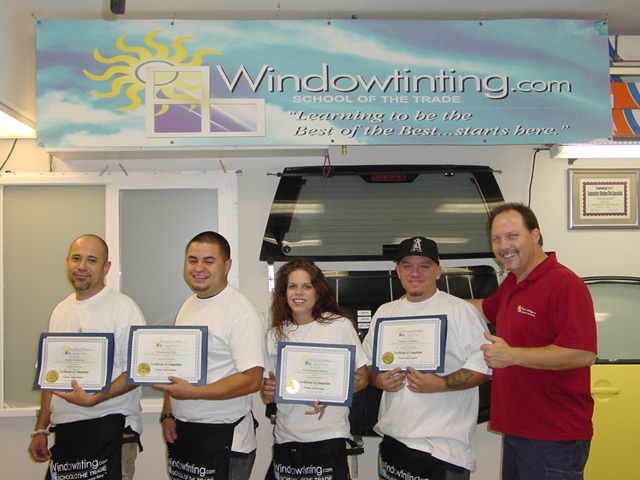 Before I came to this class, watching what I thought was a “professional” tinter was interesting, but it never really taught me much. Even though I wanted to learn from him, he wouldn’t show me what it takes. Now with what I have learned at this school, I feel empowered like a true professional. When I return... I can’t wait to bury him! Vengeance is MINE!!! The class was very fun and Robert was an excellent instructor. Plus the sandwiches are the BEST EVER…Subway eat your heart out!